Panoramic view of Port-au-Prince, Haiti. Cité Soleil is located along the waterfront. 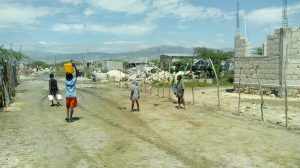 Yvette Derice lives in the community of Village Rapatrié, located in Cité Soleil, Haiti, the poorest slum in the Western Hemisphere. Village Rapatrié was formed as a community between 2004-2006 by a group of Haitians deported from the United States. The government relocated the thousands of deported people to this abandoned section within the Duvivier area of Cité Soleil. 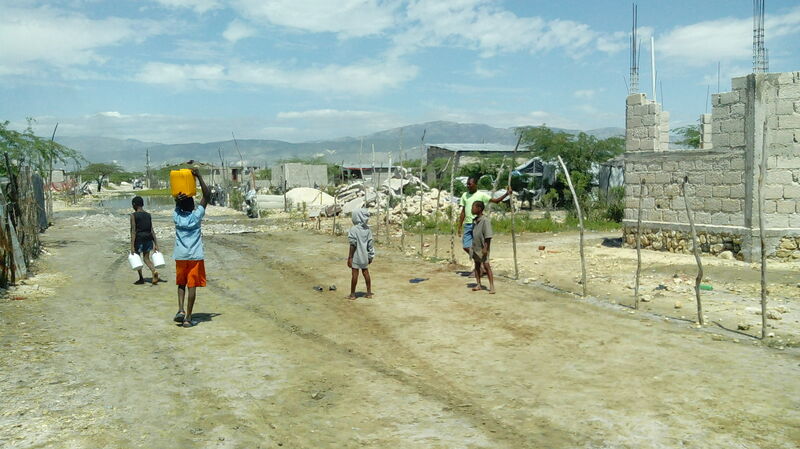 The area was renamed Village des Rapatriés Haitiens, which means “The Town of Deported Haitians”. Yvette lives in a small home with her three children, Edel Olivier (age 13), Evenson Olivier (age 9), and Lovely Joseph (age 5). In 2014, Pure Water for the World launched a safe water project in Village Rapatrié. The project includes the provision of hygiene education and the installation of bio-sand water filters for 1,070 families in the community. The Derice family is one of the project’s beneficiaries. 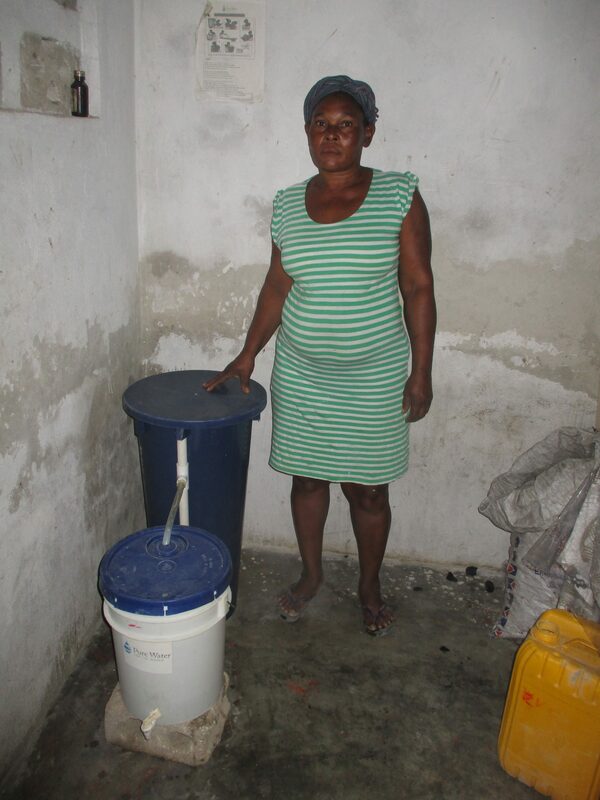 Before receiving their clean water filter, Yvette’s children experienced tremendous struggles and health issues. It was very difficult for them to access clean water, so her children were frequently affected by common waterborne illnesses, including chronic stomachaches, diarrhea, and typhoid. Most of the family’s money went to medical care. It was difficult for her children to attend to school, and, therefore, difficult for Yvette to work. Times were very hard. Three years after receiving her training and filter, Yvette (pictured right) feels a great sense of relief. She no longer has to spend countless hours worrying about the health of her children. She no longer spends her family’s precious financial resources at the hospital. Her children are healthier and able to go to school, striving to achieve an education. Today, Yvette has a new level of confidence and optimism about the future for her family. Her dream for the new year is that every single family in her community have their own filter in the near future. PWW teams are hard at work, helping to make dreams come true. You can join by making a donation to support a child or a family. WASH Success Stories Beneficiary Stories, DreamsComeTrue, Haiti, Happy New Year, Success Stories, WASH Success Stories. permalink.